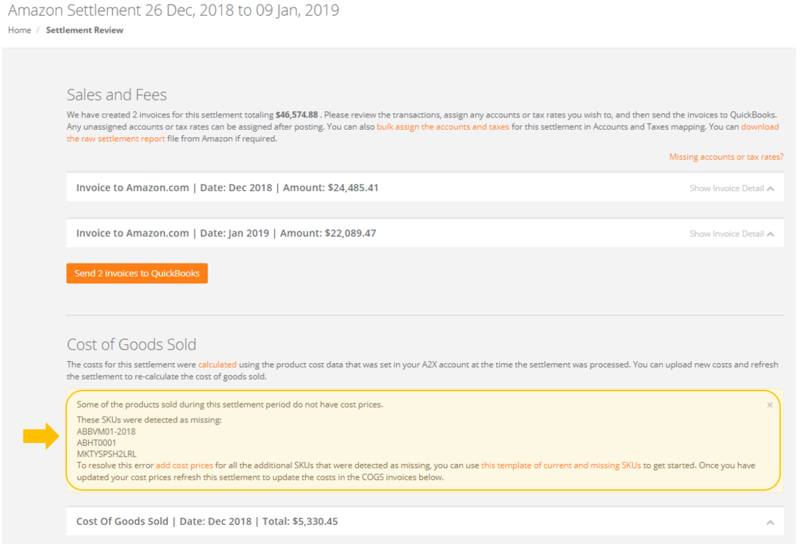 Managing costs in A2X is quick and easy! When updating cost prices always Refresh the settlements in your A2X account after the upload is complete. 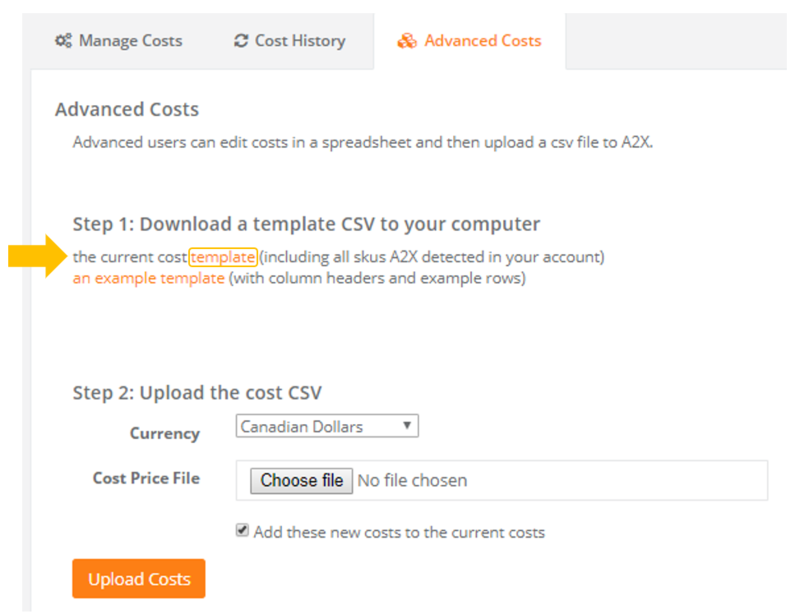 If you don't want to download the template above you can create your own cost template file. All it needs to include is a a column for the SKU's and a column for the Cost Prices. The title 'SKU' will be entered in cell A1 and the title 'Cost Price' will be entered in cell B1. 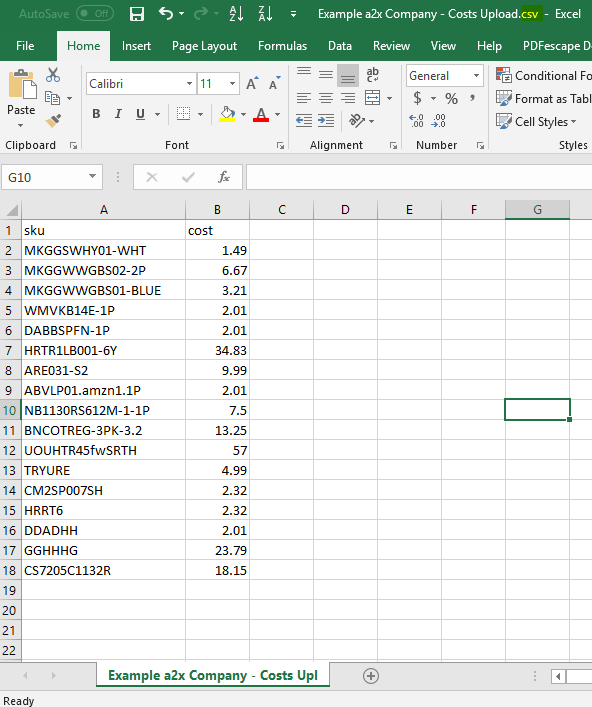 You will then list all of your SKU's in column A from cell A2 on and you will list your cost prices in column B from cell B2. Remember to save the file as a CSV file type! You can select the 'this template of current and missing SKUs' link to download the csv template. All you will need to do is enter the cost prices beside the SKUs that don't have a cost price. Once all SKUs have a cost price you can save the file as CSV file type and upload it to A2X.